I don’t even know where to start with Wigs on the Green! Eugenia Malmain is a teenage heiress living in a small town in England. She is very politically minded and has started a group that follows the ideals of the Union Jackshirts. She is in the middle of a very eccentric cast of characters. You have Jasper Aspect and Noel Foster. Noel is a young man who has just inherited a lump sum of money from a dead relative, and he took it upon himself to quit his job and elicit Jasper’s aid in helping him find a young heiress to marry. Jasper had suggested Eugenia, so the two had immediately traveled to the town in which she lives and immediately befriend her, despite her childish mentality. Then you have Lady Marjorie and her companion Poppy who are both in hiding as Marjorie has stood up her groom, a duke, at the altar. Poppy and Jasper immediately embark upon a love affair while Marjorie mopes around and constantly applies cold cream to her complexion. Lastly, you have Noel’s love interest, who is an older, married woman with a very self involved, manipulative attitude. The characters together equal a hodge podge of hilarity, with each person taking themselves too seriously and not a one of them having the fortitude for self reflection. My love affair with the Mitford sisters started with Mary Lovell’s biographical book The Sisters. I read it a few years back and immediately became enamored with the relationships and dichotomy between the sisters. I have since read a few of Nancy Mitford’s books, as well as one of Jessica Mitford’s, and I have yet to be disappointed. I was afraid though that I had met my match with Wigs on the Green. 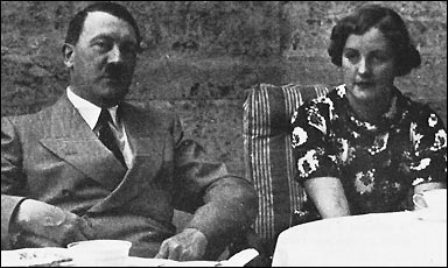 Quick backstory–two of the Mitford sisters, Unity and Diana, met Hitler during WWII and immediately became Nazi sympathizers. Their political leanings caused a great chasm within the family, which resulted in tragedy when Unity, unable to cope with having to choose between England, her home and Germany, shot herself in the face. Unbelievably, she lived another nine years before she eventually died, but the Mitford family was never the same. 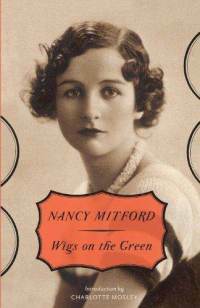 Nancy Mitford wrote Wigs on the Green as a satirical work that poked fun at the political leanings of her sister. Because of that aspect of the story, I was unsure of whether I would be interested at all in the story and whether I would even be able to follow it. I needn’t have worried at all. Mitford’s acerbic wit was evident throughout. She reminds me of a more modern Jane Austen, especially when it comes to her sly wit and her way at poking fun at the social stigmas of her time. I certainly plan to read more from both Nancy and Jessica Mitford. 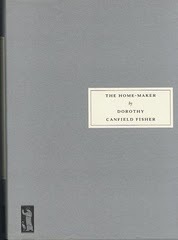 I have decided that for 2011, I want to make a more concerted effort to read classics. As an English Lit major in college, I feel like maybe I was so deluged with classics that once I graduated in December 07 that I pretty much threw that genre to the wayside (if it can even be referred to as a genre!). 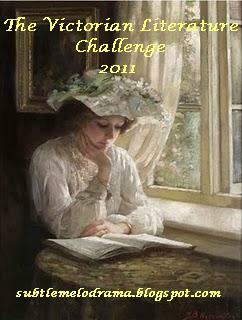 The first on my list to tackle this year was Cranford , by Elizabeth Gaskell. I read Sylvia’s Lovers last year for the Classics Circuit and thought it was really well done, so I was anxious to read more Gaskell. Cranford is a look into a predominantly female town and the dynamics therein. 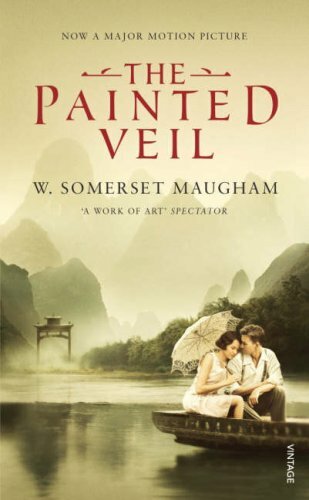 It’s more subtle than your typical novel, in that it is more of an expose of everyday life than anything else. The narrator is a woman named Mary who is younger than the other women of the town and is not a resident of Cranford , although she stays with Miss Matty Jenkyns for prolonged visits. Matty is one of those sweet older ladies who always wants to do right by everyone else and is careful not to hurt anyone’s feelings. This leads to her being one of the most revered women in Cranford , which is evident by the end of the book as far as everyone’s treatment of her goes. 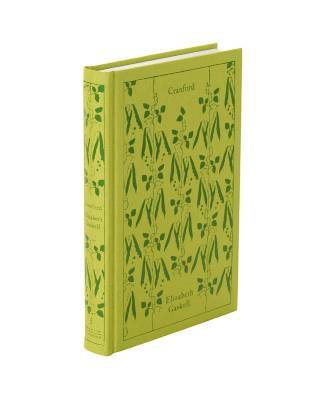 The edition of Cranford that I read was the Penguin clothbound classic, and I loved that it included so many essays, as well as an in-depth introduction (which I couldn’t read until after I had finished Cranford , as the introduction contained spoilers), a glossary and endnotes. It’s nice to have all that information to refer to, and often when I am done reading a book that had an impact on me, having essays regarding the text is almost as good as having an actual person to discuss the book with! Admittedly, there were times when I was a tad bit bored with Cranford , but it helped that I knew exactly what I was getting into. This is definitely more of a character driven novel over plot, so while that doesn’t always work for me, I made certain to pick Cranford up at a time when I was looking for that type of book. 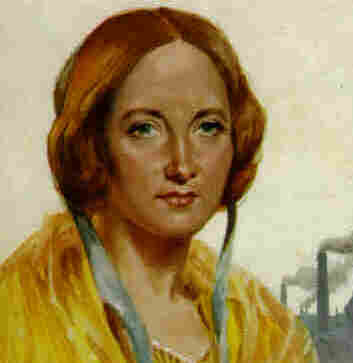 It has convinced me now even more that I would like to read more of Gaskell, especially Wives and Daughters, which seems to be a favorite among other bloggers! I purchased this book from Anthropologie. This book counts towards the Victorian Lit challenge.